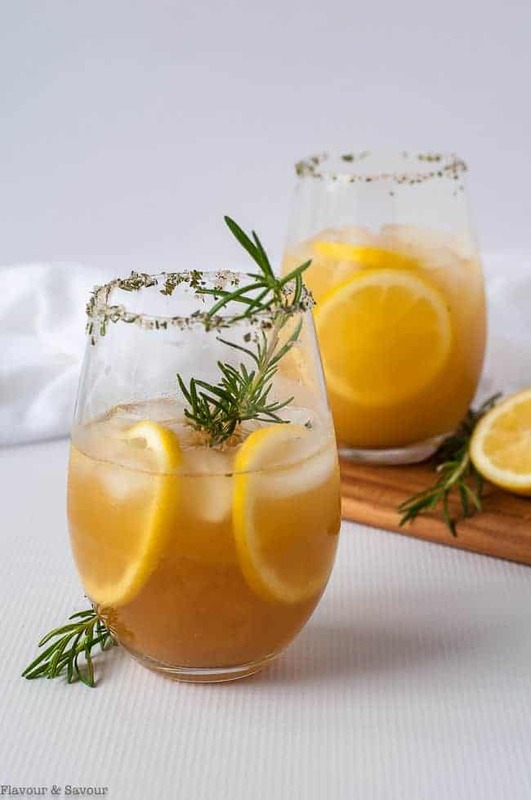 This Pineapple Ginger Kombucha Cocktail is a refreshing non-alcoholic (or alcoholic) drink made with probiotic-rich kombucha. Quick and easy to make with store-bought kombucha. Swap out alcohol for kombucha and make yourself a healthy-ish drink that you can enjoy at happy hour without feeling like you’re missing out! This refreshing simple Pineapple Ginger Kombucha Cocktail has just the right amount of bubbly to put you in a celebratory mood. 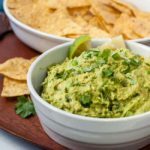 Did I mention I like easy recipes? 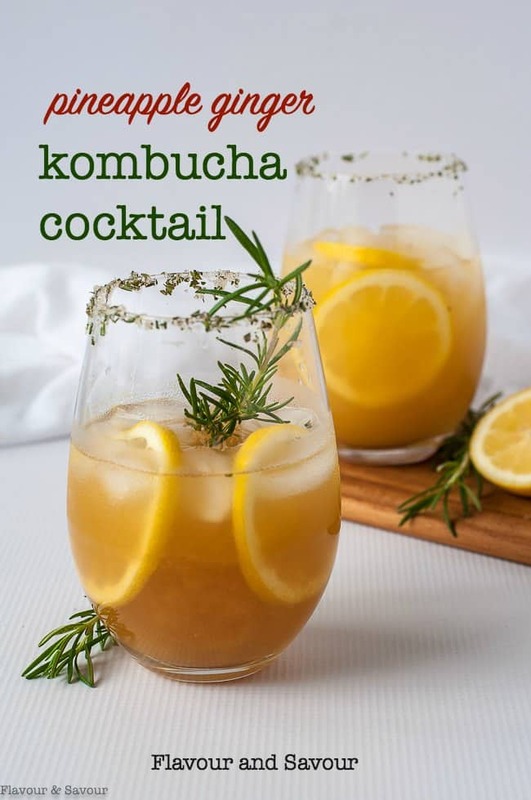 You could be dedicated and resourceful and make your own kombucha to make this mocktail, or you can stop at the store and buy a bottle of flavoured kombucha and have this drink made in 5 minutes. Your choice. Sweet and spicy with tropical flavours and a kick from ginger, this Kombucha Cocktail is an ideal drink for any time of the year. 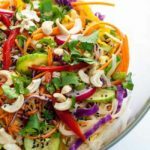 And you’ll be getting a healthy dose of gut-healing probiotics at the same time! 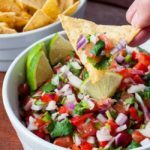 Ginger is good for our digestive system and pineapple has antioxidant properties as well as Vitamin C.
How to make a Kombucha Cocktail or Mocktail! It’s a simple drink, but it’s a stunner! 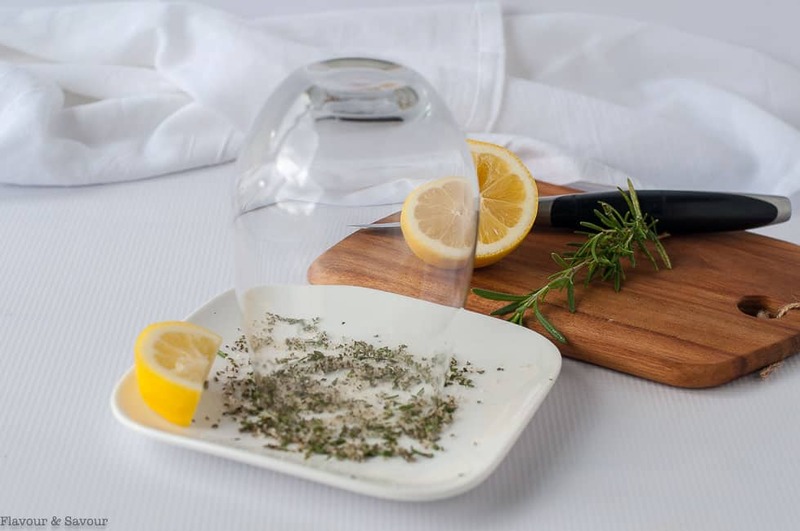 Rim your glasses with a simple mix of very finely chopped fresh rosemary and sugar for a special touch. Fill the glasses with ice and this chilled Pineapple Ginger Kombucha Cocktail. Garnish with lemon slices and a sprig of rosemary. Kombucha tends to cut the sweetness in a drink, so you may want to adjust the amount of maple syrup to suit your taste. Different brands of kombucha will also vary in their level of sweetness, so play around with this drink to find the balance you like best. Cheers to a healthy gut! 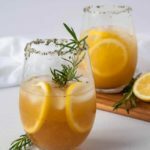 This Pineapple Ginger Kombucha Cocktail is a refreshing non-alcoholic (or alcoholic) drink made with probiotic-rich kombucha. Quick and easy make with store-bought kombucha. Remove the leaves from one sprig of rosemary and chop very finely. 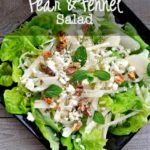 Combine with sugar and transfer to a small plate or dish that is larger than the diameter of the glasses you will be using. Rub the edge of each glass with lemon, then invert the glass into the rosemary-sugar mixture to rim the glasses. Combine pineapple juice, lemon juice and maple syrup in a pitcher. Stir to combine, as the maple syrup will sink to the bottom. Slowly add the kombucha. 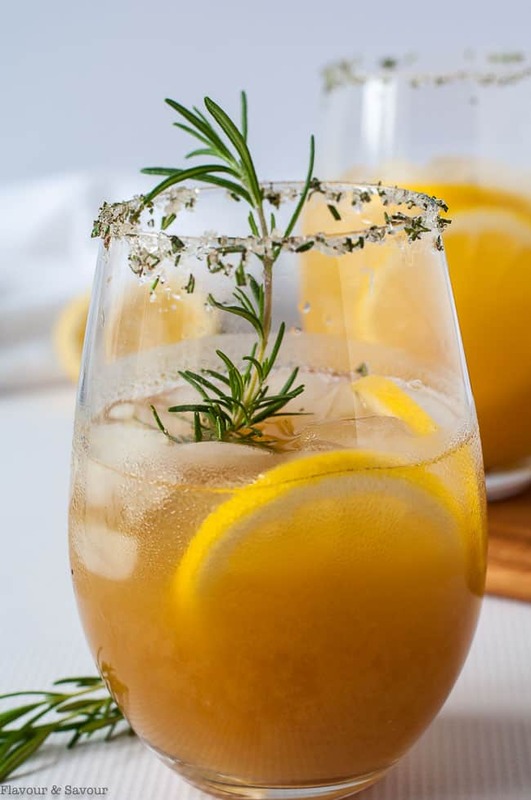 Pour over ice-filled, rosemary-rimmed glasses and garnish with lemon slices and sprigs of fresh rosemary. Serve immediately. Kombucha tends to cut the sweetness in a drink, so you may want to adjust the amount of maple syrup to suit your taste. Different brands of kombucha will also vary in sweetness, so play around with this drink to find the balance you like best. Calorie count does not include alcohol. If you like this Pineapple Ginger Kombucha Cocktail, try these, too! This is so refreshing, and we didn’t even miss the alcohol. Thanks for a healthy drink recipe! You’re welcome! I have it without the booze, too! Oh my gosh! This is so delicious! We left out the alcohol and enjoyed this as a mocktail!!! Hi Paige, Thanks for commenting! That’s the way I like it too. The alcohol is not necessary!